Christmas Island is the largest coral atoll in the Pacific comprising an area of 250 square miles and surrounded by one of the most magnificent coral landscapes in the world. 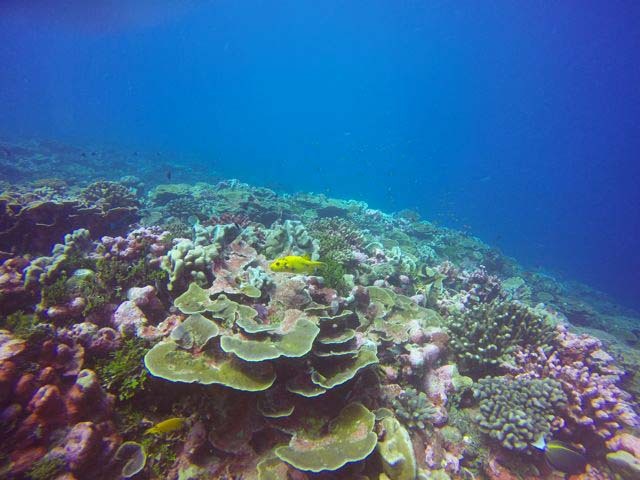 The undersea environment is virtually untouched and descends into a magic kingdom of colorful coral gardens. 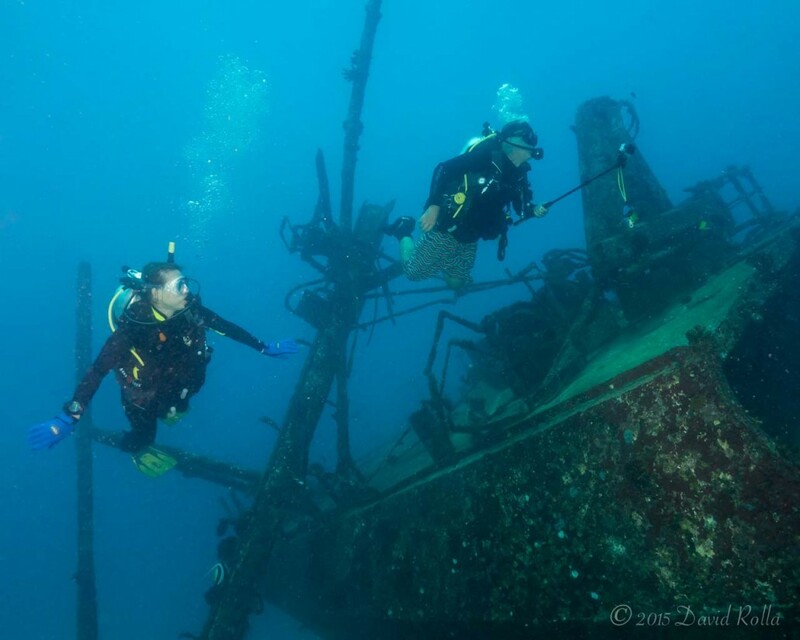 The entire perimeter is one large dive site. The reef starts in the shallows and steps down in flats to a final drop off into the deep blue ocean. 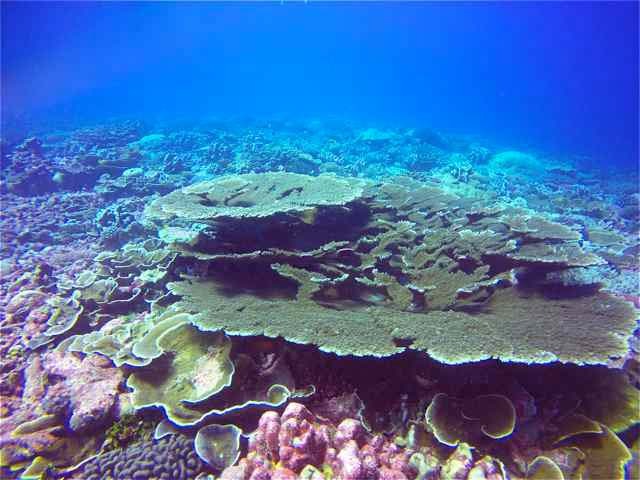 Huge coral mounds, long flats, steep walls and underwater caves are covered with 80 species of hard and soft corals. 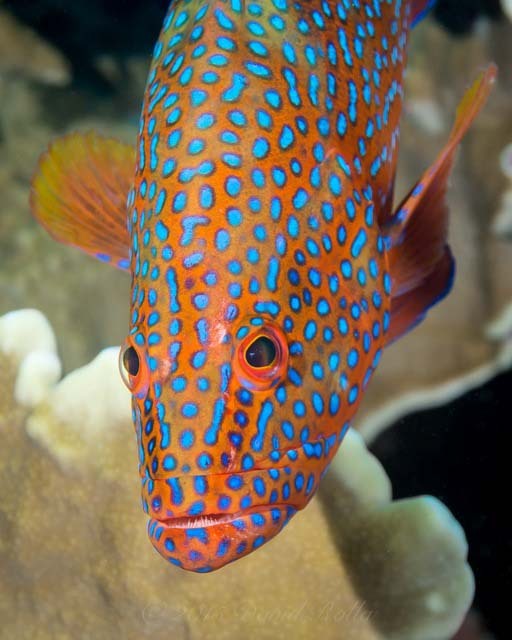 The fish species are endless, many rarely seen anywhere else. 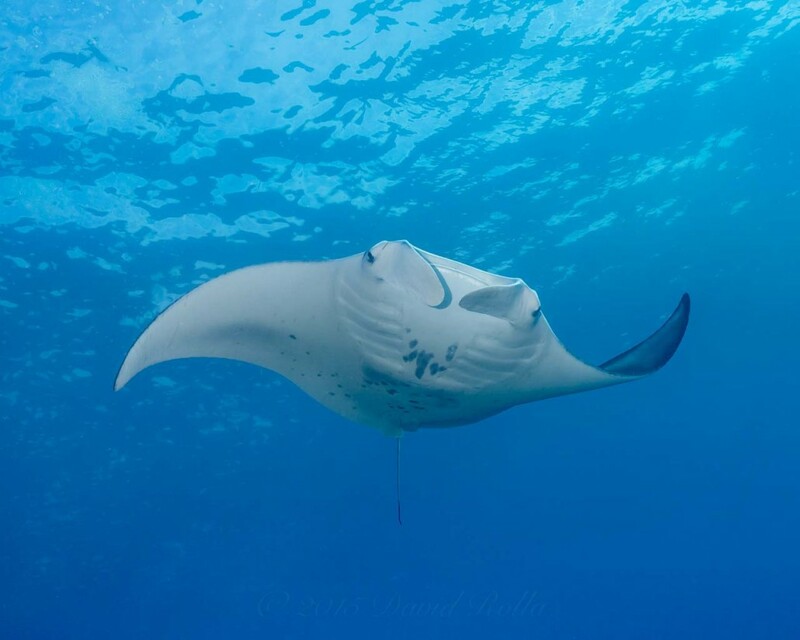 Dives are often highlighted by manta rays that appear out of nowhere and glide by indifferent to your presence. 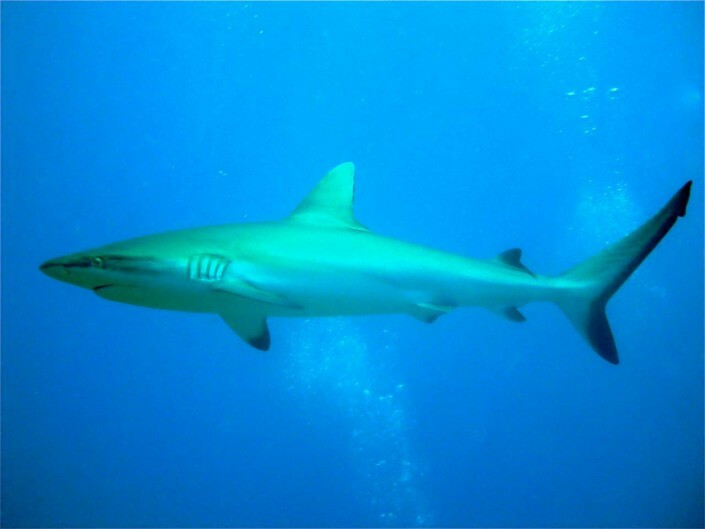 Shark sightings are less common and the sharks are not bothersome and the occasional whale shark may be seen cruising and fiItering the nutrient rich water produced by the live reef. The population of spinner and Pacific bottlenose dolphin is nothing short of amazing as they accompany the boat to the different dive sites along endless miles of white sand beaches that have never seen a footprint. The water surrounding the island is unbelievably clear. 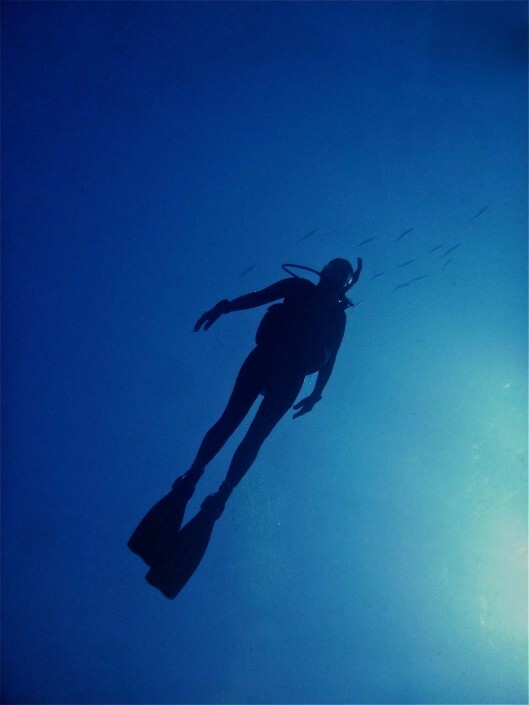 Most dives have visibility of over 100 feet. 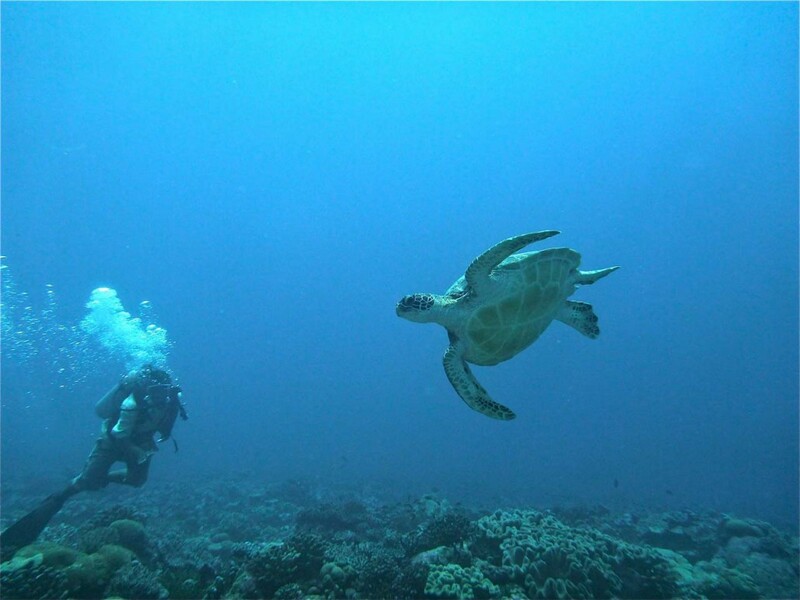 The Villages Hotel, in co-operation with Fishabout Inc. and Patrick’s Diving Adventures now offers full-service scuba diving featuring highly trained dive staff, clean, pure air fills, new scuba tanks and top quality Aqua Lung rental gear. To enhance diver comfort, our buoyancy compensators feature integrated weight systems. The day starts early with a hot breakfast after which you make a lunch of your choice from the sandwich bar and prepare for the day’s adventure. After a short orientation of the days plan and dive profile you will depart for the first dive site. Before each dive you will be briefed on the maximum depth and time limits as well as some of the exciting points of interest at the location. The diving is comfortable. None of the dives are done in strong currents. In light to medium currents drift diving is employed to make it comfortable and safe. 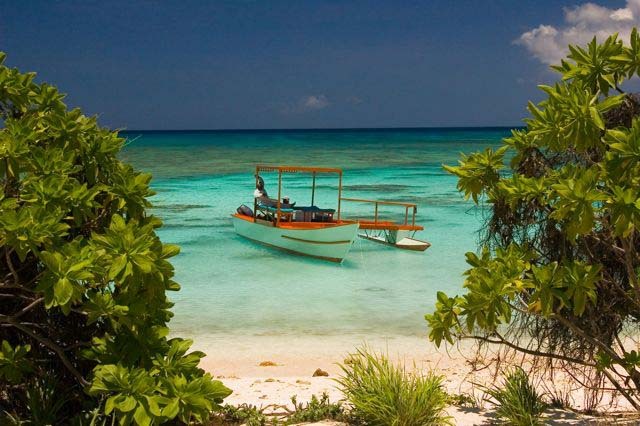 The dive boats are large Pacific Island style outriggers, very seaworthy and our experienced captains have excellent knowledge of local waters. We just introduced a 30 foot fiberglass dive boat to our fleet for longer runs. 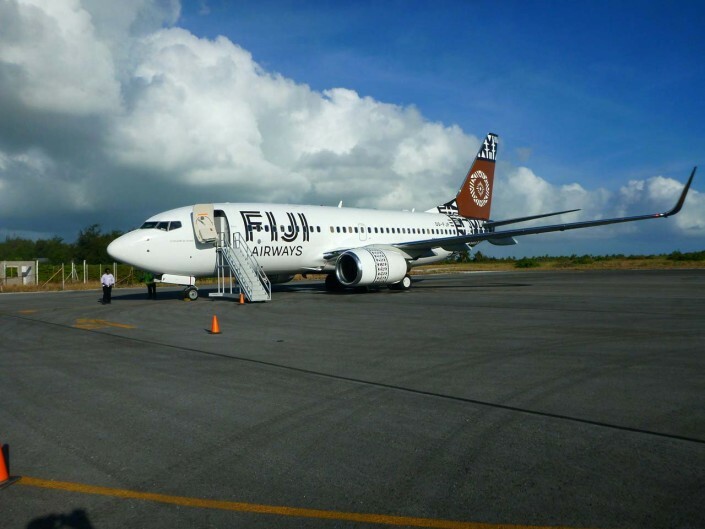 Fiji Airways flies every Tuesday between Honolulu and Christmas Island. The flight is surprisingly nice, The seats are comfortable, you are served a full meal, and there is a movie on board the 3 hour flight. Baggage is limited to one 50lb check-on per person. A carry-on is also allowed within size limits. Plan on overnighting in Honolulu Monday night to be ready to be at the airport at 9:00am for check-in Tuesday morning. The following Tuesday, the flight is scheduled to arrive back in Honolulu at 10:30am allowing for a connecting flight home on the same day. Fishabout assisted in founding The Villages in 2006 and designed it to support the nearby community of Tabwakeua and the KPC church. The staff takes great pride in their work because they know they are part of something that benefits their family and friends, schools and the local population. A portion of your trip expense funds this needed enterprise and the staff is grateful for your visit and proud to serve you well. The rooms are double occupancy, each with their own private bath and shower, air-conditioning, small refrigerator and daily maid and laundry service. Returning guests often comment on how could this be accomplished in such a remote location. There is a main dining room, but many of the meals are served outdoors under the thatched maneaba, “meeting place” . The meals are well-prepared and are a basic selection of fresh-caught fish, seafood, chicken and pork dishes. On a couple of the nights you will be entertained by local musicians and dancers during and after your evening meal. Price is subject to change based on fuel increases and other factors.